Receive daily inspirational quotes and articles from Zen Habits by Leo Babauta and create great looking posters with your own photos. 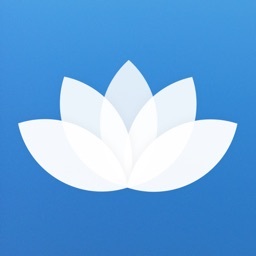 Not only is this app a great way to read up-to-date articles from Zen Habits, it also helps you to stay inspired and motivated! Push notifications with red badge on the app icon will let you know when new articles are available. Add your own photos to each quote to create a visual journal of how Zen Habits relate to your life. 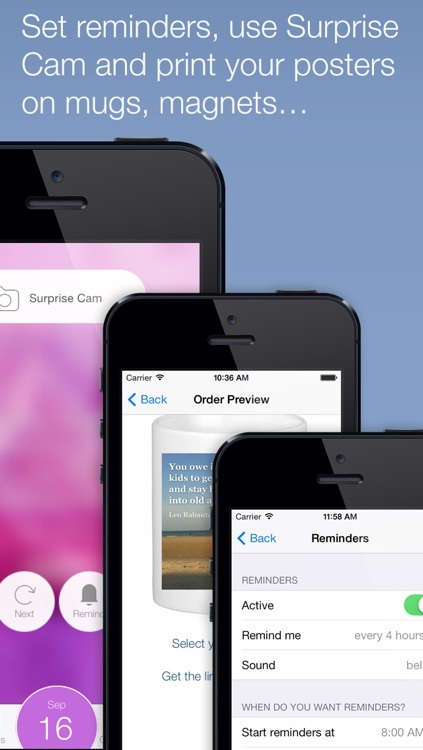 Or let the app surprise you by automatically composing posters with your photos! 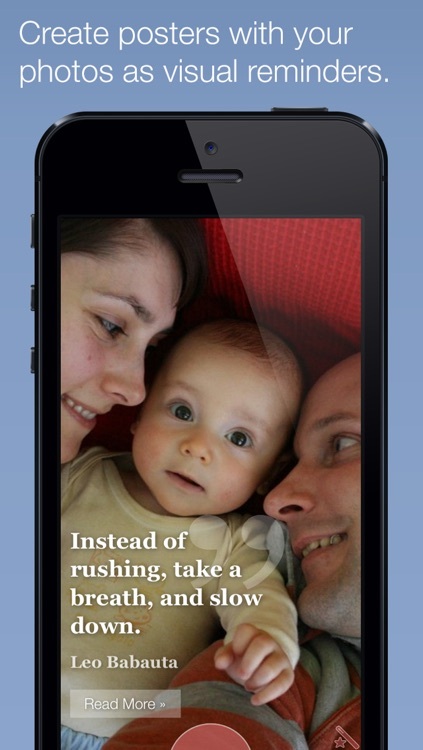 Surprise Cam lets you take a photo (or select it from your album) and the app will add a Zen Habits quote to it. Set reminders that will help you to stay focused on the Zen Habits message of the day. You can set the frequency and/or exact times for reminders, as well as time of the day when reminders are active. 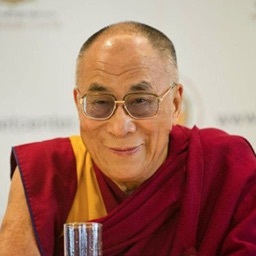 Read complete blog posts and receive updated content as it becomes available on Zen Habits website. 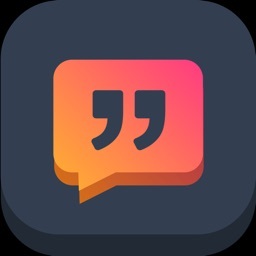 At the moment, the app has more than 100 of the latest posts with a couple of quotes from each. The content of the app is regularly updated. 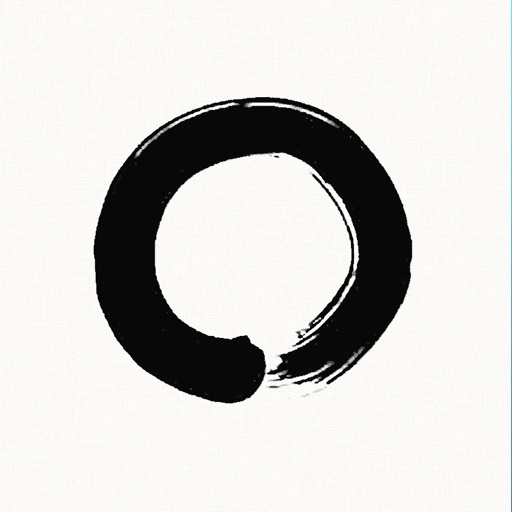 Zen Habits is a great resource for all who want to simplify their lives and find joy in work, raising kids, relationships, fitness and other aspects of modern life. 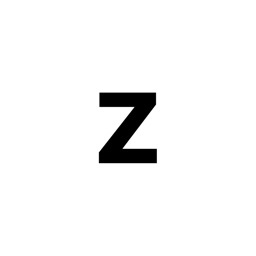 - Receive a daily Zen Habits quote. - Read the whole article from where the quote was taken. 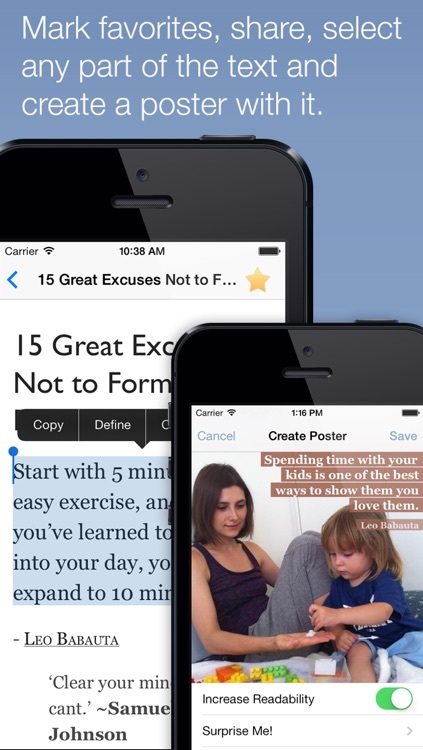 - Create a poster with your own photo as a reminder of your goals or inspiration of how Zen Habits relate to your life. - Save posters in My Posters. - Share posters through email, Twitter, Facebook, Pinterest, Instagram, save them to the camera roll or use them as wall-papers. - Use Surprise Me! 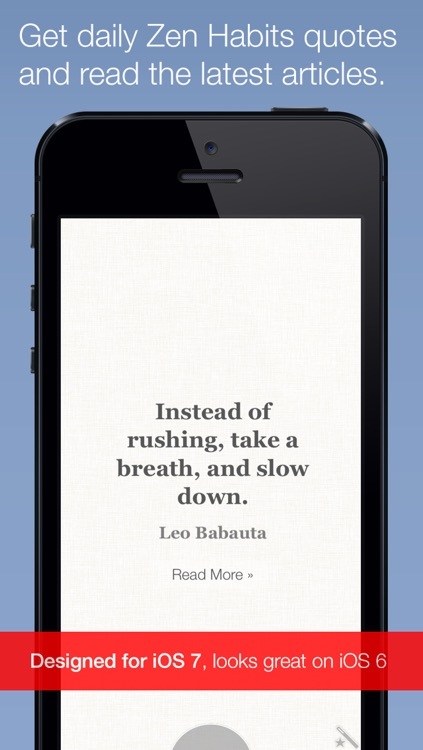 to let the app automatically create a poster for you, using Zen Habits quotes and your photos. Keep pressing Surprise Me! and enjoy the show. - Mark quotes and articles as favourites. - See the grid of all quotes and articles. Search by terms or show only favourites. - Change the quote of the day whenever you like. Select one or let the app choose one for you. - Open quotes and articles and add posters and notes (hint: just create a poster without a photo), use the app as journal of simplifying your life. - Send us your posters and we'll post them to the App Pinterest board. 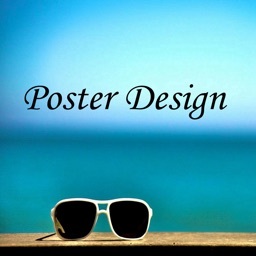 - See posters sent by other users, get inspired and get new ideas. 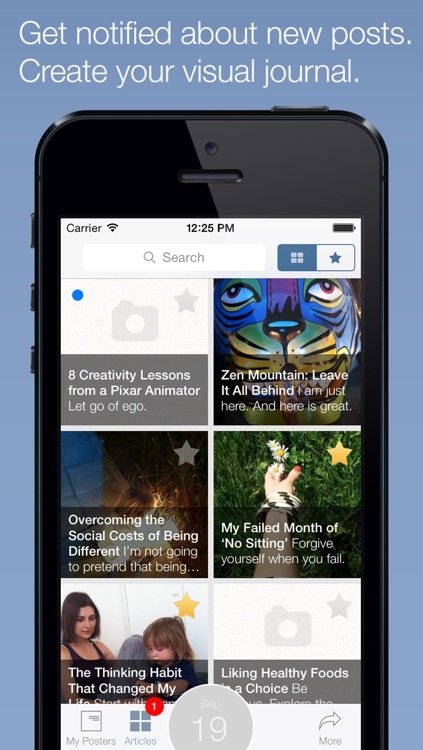 - Set daily notifications to remind you to check the daily quote. Or turn them off. Contact us if you run into any problems with the app. We'll help you out.